It used to be that people would choose a career field early on, do what they needed to do to pursue that field, and then remain in the same job for most of their lives. But Millennials have changed that, pursuing a variety of different jobs and careers over the years and rarely ever just settling into one thing. The good news for you is, if you are considering a big career change – a lot of other people are doing the same. Which means that unlike 20 years ago, these changes are no longer looked down upon. Hiring managers are more understanding of the fact that it can sometimes take a little longer to nail down what you want to do with your life, and they care more about your performance in the jobs you have had in the past while you were there, than whether or not you remained for 10 or more years at a time. Still, when making a career change it becomes all the more important to present yourself as a valuable employee. If you don’t have a decades worth of experience in the field you are trying to transition into, you need to find ways to prove your worth compared to those applicants who do have that experience. The first step to making a big career leap is learning more about the field you want to enter, including the basic education and experience requirements that are typically required. The best way to accomplish this is sometimes finding a person in the field who is doing exactly what you want to be doing, and enlisting their help in learning more. Consider this person a mentor of sorts, and work on forging a relationship where you can go to them with questions and for guidance about how to best position yourself for entry into the field. Remember that people often have a lot on their plates, and not everyone will be interested in serving in a mentorship capacity, so how you approach those you hope to learn from is important. Be professional and humble when expressing your desire to enter the field and to one day become as successful as they are. Making this switch doesn’t end with finding a quality mentor. You need to be willing to put in the work, and to prove your commitment to this career leap. Pursue any additional coursework that might help to improve your chances, and be willing to consider internship opportunities that could help to get your foot in the door of an organization you would like to work for. 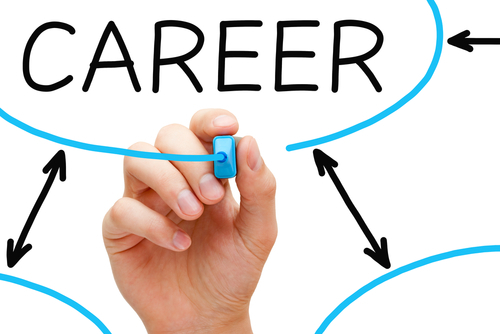 It is also important for you to recognize that making a career leap may mean starting from the bottom once more. You won’t necessarily be able to retain your current rank or pay grade when starting off in a new and unfamiliar field. A traditional resume presents your experience in chronological order, highlighting your job titles and companies you have worked for in the past. But if you are making a career leap, you need a resume that instead highlights your skills and experience, pushing those job titles further down the page. A Functional Resume format (otherwise called a Skills Resume) accomplishes just that, arranging your information so that your skills are at the top of the page and your job titles are at the bottom. This type of resume puts a great focus on what you can do, and eliminates the need for listing out your job duties at each and every position you have ever held. The goal here should be to highlight anything that proves your capacity for excelling in this new field, because while you already know you are perfectly capable of making this switch – you need to show that to hiring managers. Competition is fierce nowadays when it comes to job openings. Everyone is on the hunt, whether they have been out of work for months or are simply looking for opportunities for advancement. No matter what job you are applying for, you will likely be up against applicants who are more qualified than you in some way or another. Having a solid resume is the way to ensure you still get an interview and the chance to impress hiring managers with what you know you have to offer. By allowing a professional to compose that resume over the downtime period, you are giving yourself the leg up you may not have had, as well as allowing you to be ready to apply for a new career as soon as the New Year commences. Professional resume writers make it their job to understand the market. They understand the needs of various career fields in a way you may not, even after decades working on the inside. While you may look at your resume as a way of getting everything you know and have accomplished across, a professional knows how to highlight your most important skills. They can read a job description and write your resume specifically to the qualifications desired. If you want to look like the best in your field, a professional resume writer can help you to accomplish that. When it comes to understanding what hiring managers are looking for, no one is more clued in than a professional resume writer. Often they have spent years on the other side of the desk themselves, reviewing resumes and making determinations regarding who should get the interviews. They make a point of networking with hiring managers and remaining aware of desired skills and buzz words that are starting to draw attention. These professional writers can serve as the conduit between you and the hiring managers, helping you to draft a resume that is written specifically to get their interest. We are all capable of glossing over our own mistakes, no matter how many times we have looked at a document we carefully prepared. The problem is that even if your resume is perfect in every way except for one small spelling or grammatical error, you can almost bet that hiring managers are going to immediately pick up on that error. You can always ask friends or family to review your resume for you, but if you want a true guarantee of perfection; a professional resume writer is the way to go. They are the ones who can ensure the resume you are sending off to hiring managers is pristine and ready to land you the job. These are the people you want on your side when it comes to identifying and removing any potential errors or issues which could otherwise cost you an interview. You may think that your qualifications and experience speak for themselves, but the truth is that presentation and layout matters. Professional resume writers know how to frame your background in a way that hiring managers can’t ignore. They highlight your most impressive assets and are skilled at ensuring the important details are located right where a hiring manger is sure to look first. There are several resume formats which can be utilised today, and they all serve a different purpose depending on the type of job you are applying for and what your current background is. By hiring a professional resume writer, you are consulting with someone who understands all the formats and can help you to select the one best suited to your needs. The end result will be something far more eye catching than anything you could have drafted yourself. So if you are planning on seeking a new job or career in the New Year, why not engage a professional resume writer now. Visit Resumes Australia to learn more about how we can help you with your resume over the Christmas period. You have submitted your application to countless jobs, but can’t seem to land an interview, or even a return to your phone inquiries. Stepping back to assess the situation, it is impossible not to question yourself. Are you applying to jobs you aren’t qualified for? Or are there really so many job seekers out there that you simply can’t compete? If you are fairly convinced the answer to all these questions is “no”, it leaves only one other possibility lingering in your mind. One of the easiest ways to discredit yourself with a hiring manager is to have a resume littered with spelling and grammatical errors. Give your resume a thorough read through to see if there are any errors you can recognise on your own. Seek out a friend or former colleague who can then do the same for you. If at all possible, hire a professional to copy edit your resume as well. As competent as you may believe you are in the use of the English language, we are all more likely to miss our own errors when reviewing our work. This is why it is essential to have as many additional eyes on your resume as possible. Eliminating those errors now can keep a hiring manager from automatically assuming you are careless with your work. The other important piece of resume construction is creating a format that is crisp, clean and easy to follow. This means avoiding a resume which is too long or has information jumbled in a haphazard manner. You also want to avoid printing your resume on bright paper or utilising a lot of graphics – anything which might appear to be unprofessional. Most hiring managers will typically only glance at the first page of your resume before deciding whether or not to read further. 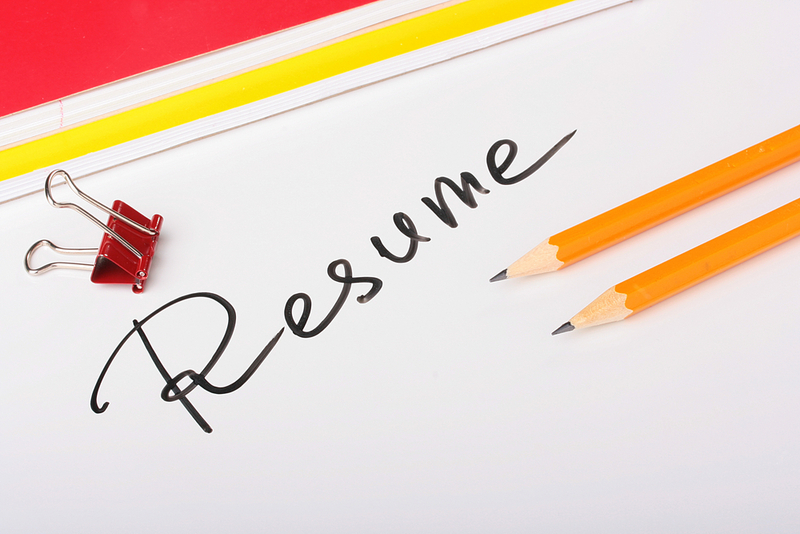 A poorly designed resume is much more likely to end up on the bottom of the applicant pile. This is another opportunity to ask for the opinions of friends and former colleagues. Allow others to read your resume, and then ask if they thought the important information was readily available or if they had a hard time determining your skills based on the current format. Take their advice to heart, and consider hiring a professional to help you design your resume if necessary. While you may be proud of your work history dating back to your teens and the 20 different volunteer projects you are involved in each year, remember that your resume is an opportunity to present the skills and experience which make you the perfect fit for a specific career. If the two years you spent serving drinks at the local bar aren’t directly relevant to the types of positions you are looking for, and if you do have other experience which is more pertinent, consider cutting your bar duties out of your skill set and focusing instead on the ways you are a perfect fit for this job. Remember, however, that more and more hiring managers are conducting background checks these days, so under no circumstances should you make up a work history or experience in order to remain relevant. Personalising your cover letter can go a long way in grabbing a recruiter’s interest. If you are able to show you did research on the organisation and position available, you increase your chances of being contacted. On the other hand, if you put together an application that is similar to what you could submit to a hundred other jobs, you might be missing an opportunity to make an impression. When a recruiter feels as though you don’t want a job badly enough to do a little research, it reflects poorly on the kind of employee you could be down the line. Sometimes it really is that simple – you just didn’t have what they were looking for. That isn’t necessarily a reflection on you. They may have someone else in mind, or have decided to hire from within. There also may be just one small aspect that they are specifically looking for – a specialised education or skill – which you don’t possess. Sometimes the most important part of a new position isn’t always made completely clear in a job description, but they know what they are looking for when they see it. If you aren’t it, you probably won’t hear back from them. Your cover letter should sell you, but not in the same way a resume does. Recruiters don’t want to see a long list of your accomplishments and skills; they want to know how those accomplishments and skills directly apply to the position they are looking to fill. What is it that makes you special? Why should they consider you above anyone else? These are the things they want you to convey to in your cover letter, or in the e-mail you compose to send with your application. You should be trying to hook the recruiter in with that opening pitch, not simply regurgitating the information they will find on your resume. If your cover letter and resume are consumed by grammatical and spelling errors, it will be quickly discarded. That should be common knowledge, but it is something that occurs so often in applications. Another reason is if you failed to follow simple instructions, it says that you don’t care enough about this position for the recruiter to give you any consideration at all. Every once in a while recruiters receive an application addressed to another company entirely, and it becomes immediately clear that a generic cover letter was used without the time being spent to even swap out company names. Mistakes like this will land your application at the bottom of my pile, because they have no interest in wasting time on someone who couldn’t be bothered to put a little effort in. At the end of the day, that really is what it all comes down to: time. If you don’t have the time to make sure your application is ready for a particulr job, than a recruiter probably won’t find the time to give you a call. Visit Resumes Australia to learn more about how we can influence your career, from growing your networks to helping you develop clear goals and strategies. Alternatively, take advantage straight away of our serviceshere. These days, when you need to look for a certain service, it’ very likely that you’ll turn to the Internet first before checking out other avenues. This is an understandable trend, of course— there is no other medium for advertisement that is quite as up-to-date or with such a wide coverage as the Internet. If you are a new job applicant, the Internet is a particularly useful resource for job hunting tips, advice on today’s industries, and for finding ways to boost your chances in the job market, such as hiring professional resume writers to create an eye-catching and impressive resume for you. The Internet will indeed be able to provide a multitude of companies and resume writing institutions for you to choose from, but because there are so many, a lot of applicants may find it incredibly difficult to select one. So how do you go about all these choices? How do you know if a certain company’s professional resume writers can be trusted with not only your resume — the most important document needed to jumpstart your career — but also your money? Since you are already on the Internet, the first thing you can do to evaluate a company’s credibility is by visiting its website. Is the website clean-looking, well-designed, and organised? Can you easily find the company’s product and their corresponding packages as well as other crucial information like the company’s profile? If you answered yes to all of these, then you’re already on the right track. After all, if the company’s website is easy to navigate and very user-friendly, then their professional resume writers can apply the same organisational tactics to your resume. While you are browsing the company’s website, also check for testimonials from previous customers. A website that is laden with numerous testimonials that only vaguely describe the company’s merits should not be trusted. What’s even worse is if the testimonials sound like a sales pitch and come from anonymous or unnamed clients! Steer clear of those. A good company can back up the quality of their work with specific and detailed comments from real people. Lastly, always check the company’s profile. Who heads the group? Does he or she have any experience in hiring like an HR expert or a CEO? Are the company’s professional resume writers certified? How many years has the company been in the business? Answers to questions like these can help you determine whether you are dealing with a high-quality service or not. Unless strict salary guidelines are in place for a position, as is common for many government jobs, it is typically assumed that salary is negotiable. If you weren’t negotiable on salary, you wouldn’t be out seeking a job in the first place. Including this information on your resume is both superfluous and presumptuous. Don’t do it. Avoid references to your personal life. It isn’t relevant, and could put hiring managers in the awkward position of knowing information they don’t need to know. Remember that your resume is a reflection of your professional history, not your personal background. If you have been in the work force for a few years or have any college experience at all under your belt, your high school information has no business on your resume. Hiring managers don’t care what your GPA was five years ago, and including it will only hint at a lack of maturity on your part. This makes it seem as though you are attempting to convince a hiring manager to give you a shot at a job you aren’t qualified for. Even if that is the case, you don’t want to make it so obvious. Detailing out your past skill set is fantastic, but avoid trying to fluff those skills up by referring to them as “transferrable”. No matter what you may have heard back in school, these do not belong on your resume. Get rid of them. Talking with a hiring manager about a shared interest in sports during your interview is one thing. Including it on your resume is another. This is one of those terms that is too generic and could technically be claimed by anyone. Stick to skills that are unique to you and identify ways in which you contributed to a company in a quantifiable manner. Starting a bulleted list off with the word “had” weakens everything which is about to come next, making it seem as though you are simply writing out a job description rather than detailing your dynamic set of skills. Swap “had” for the use of strong and active verbs instead, letting hiring managers see exactly what you are capable of. This is the kind of fluffy language that doesn’t actually serve a purpose. Not to mention, it is so overused on resumes that it might just be a surefire way to annoy a hiring manager. Show this with your past experience rather than attempting to boil it down to two words. The words mean nothing if you can’t back them up with examples. Once upon a time, the job search industry was very much based on resumes and paperwork. You sent off your application and if all looked good, you probably received a call from the recruiter or employer asking you to come in for an interview. Today, job searching is about much more than that. While resumes and other documents are still very important, your personal brand and image has come to play a much more crucial role in how you are seen by others in your industry, including colleagues, competitors and employers. This is largely in thanks to social media and the world of the web, which have both made candidate information much more accessible beyond a piece of paper. Now, instead of simply relying on paperwork, search consultants, head hunters and hiring managers can all peruse your various profiles online and gain more of an insight into who you are as professional and what you can offer a company. As I recently discussed in this blog post, your Value Proposition is central to your personal brand. It summarises who you are, what value you can bring to an organisation and how you do it. It is also the one, encapsulating phrase that communicates your expertise and tells others what you are known for in the industry. Once you have developed your Value Proposition, promoting it is key. You should ensure that your Value Proposition is a prominent and visible part of everything that exists about you, from your Twitter bio and your LinkedIn profile to your resumes and cover letters. If you don’t want your Value Proposition to sound repetitive, consider tweaking it a little to suit each of your different platforms and target audiences. Your online profiles are one of the most visible documents that recruiters and employers often see when reviewing your competencies for a role. For this reason, it is vital that you keep your profiles up to date; you will no doubt always be gaining new skills, so adding these to your profiles will ensure they are relevant and fresh. One of the best ways to make your profiles stand out, however, is to ensure they reflect both your Value Proposition and your Unique Selling Points. What is original and innovative about what you offer as a candidate? What can you bring to a company that others can’t? Try to make your profiles as exclusive and as engaging as possible so that they will appeal to employers and show them that you can compete against other talent. Your views and opinions – alongside your expertise – is often what can define you in the marketplace. Publishing your thoughts and ideas, whether via a blog, a guest blog or a professional publication, can help to strengthen your brand and showcase your expertise to others in the industry. 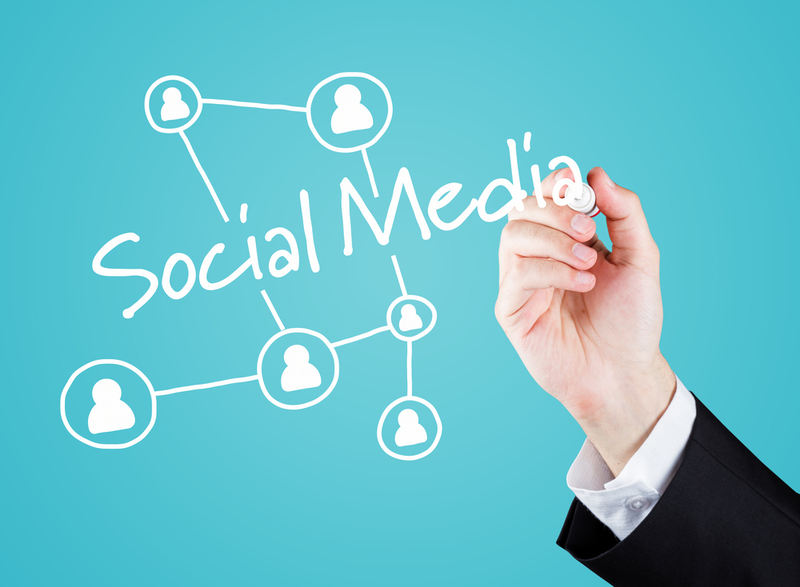 It also gives you professional and relevant content to share on your social profiles. If you have shunned social media to date, whether you don’t believe in it or because you’re ‘too busy’, it’s time to change your ways and get socially active. Focus on making connections, expanding your networks and interacting with groups and forums. Social media plays a huge part in personal branding and is yet another way in which you can show employers that you are keeping up with technology – as well as with other movements, trends and issues that are relevant to your industry. To start with, make sure you at least have a profile on LinkedIn and perhaps Twitter, and only share thoughts that are completely professional and that are aligned with your brand. Resumes Australia can you develop and promote your personal brand, as well apply for positions and write resumes. To learn more about our exclusive and customised services, visit www.resumes-australia.com.au. Negotiating your desired salary is an art form. From benchmarking your role to assuring your rewards and benefits match your remuneration, successful salary negotiation can result in a high level of career satisfaction and progression. An extensive, detailed and excellently written resume is the first and crucial step in winning your salary negotiations. Every detail or factor that you will use to negotiate a salary MUST be included in your resume. This provides both yourself and the employer with documented evidence of your abilities, which will ultimately give rise to the money you are worth. If your claims for better pay or benefits are not backed up by your resume, you won’t have much ground to stand on and the employer won’t have any concrete need to meet your financial expectations. One of the biggest resume writing blunders I see is when candidates include their current or target salary in their resume. This is a critical mistake that can cost you both an interview opportunity and the chance to negotiate a higher remuneration. Why? If an employer or recruiter knows your present salary or your target salary and decides the figure is too high, they might not bother even interviewing you for the role, because they think you are unaffordable. If an employer or recruiter sees your salary as being too low, they might develop assumptions about how much you are worth and whether or not your experience and skills justify such a big jump up on the remuneration scale. If you include your salary and it is below the client’s threshold, they can obviously take advantage of you by offering you slightly more than what you’ve asked for, even if this is much less than what you deserve or what the role is worth. This also means you lose any grounds for negotiation. Similarly, you should avoid revealing any details about your salary throughout the interview process. If questioned, simply state that you would rather leave any salary conversations to the end, when or if a job offer is made. If you absolutely have to specify a figure, give the employer a salary range only. The first offer an employer makes is always intended to be the starting ground for negotiations. If you accept the first offer straight away, it means you’ve essentially lost your bargaining power and as a result, you can end up in a role where the salary is below par. Instead of accepting, prepare to negotiate. Many employers will often expect a negotiation (particularly when they are recruiting for executive positions) and it is vital at this stage to make sure the financial reward corresponds to the skills and value that you offer. 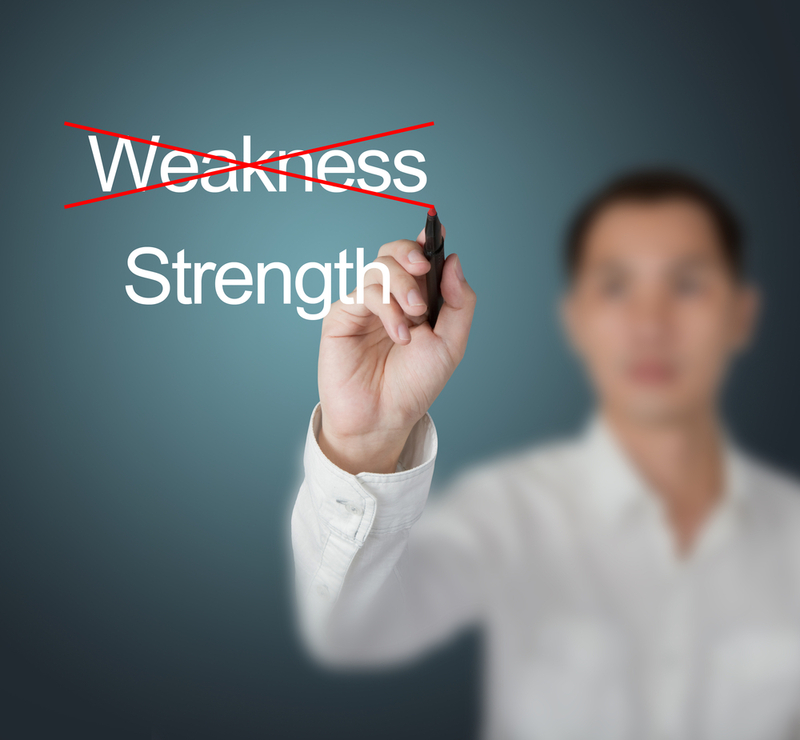 Ask for more money – you will need to justify what abilities you have to warrant an increase. 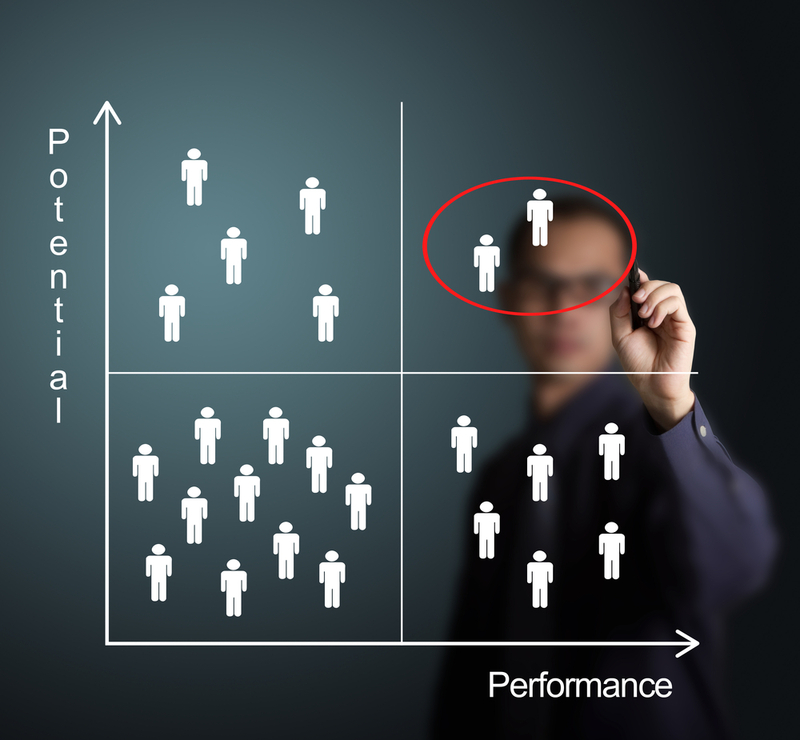 You can also use industry benchmarking here to support you. Ask for additional benefits – this can include perks like a company car, company phone or laptop, paid expenses, yearly or quarterly bonuses or higher superannuation. Upgrading your benefits is especially ideal if a higher salary is not negotiable. In some circumstances, you may also be able to negotiate better work conditions, such as the option of flexible hours, working from home or even shorter probation or notice periods. When making a counter offer, you should remain friendly yet professional at all times. You should let the employer know that you are thrilled to be joining the business, but that the offer is not quite what you need or want in order to accept the role. You can then ask the employer if there’s room for negotiation and specify exactly what changes to the contract you want to make. Try to only make a counter offer once (rather than going back and forth numerous times) and use this opportunity to effectively cover off all your requests and concerns. Resumes Australia is a successful career consultation firm offering salary negotiation, resume writing and career coaching packages. Learn more at Resumes Australia. Searching and applying for positions online remains one of the most common ways that Australians achieve job success. However, if you are not having much luck with your job applications or if you are finding there aren’t many roles that suit your criteria, it may be time to expand your search strategies and explore other avenues for finding employment. Doing this allows you to maximise your job search and significantly increase your opportunities! Social media has gained escalating importance over the last few years for job seekers, as well as employers and recruiters. If you’re not having much luck with traditional job sites, social media sites are a great place to start maximising your job search. LinkedIn, Twitter, Facebook and Google Plus will be the most lucrative places to begin networking, job searching and promoting your skills. You will need to make sure that your profiles are accurate and impressive and that your professional resume is fully updated in case you are approached about a job opportunity. If it is feasible, voicing the notion that you are looking for work can be highly beneficial, too. Mobile job searching is also a great way to expand your strategies, simply because it allows you to search for jobs (and apply for roles) while on the go. Mobile job searching is ideal for busy executives who don’t always have the time to spend job searching during the week. Setting yourself up on the mobile means you can review your desired jobs as soon as they are posted and begin preparing your resume application as soon as possible. Keep in mind that when it comes to a lot of opportunities, getting in early is a big advantage. Rather than waiting for recruitment agencies to approach you or contact you about your resume, why not approach them first? 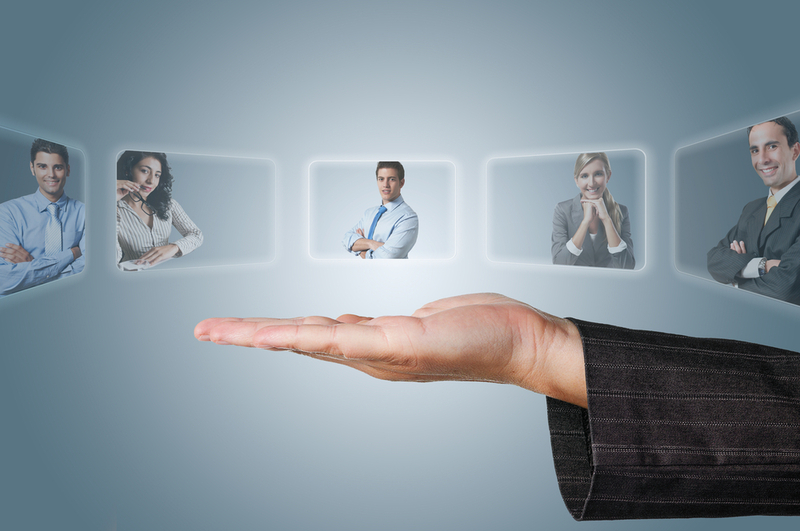 Targeting the right recruitment agencies in your field can considerably increase your chances of success. A friendly phone call is a good way to initiate contact and the search consultant will likely ask to see your resume, so make sure it’s ready to go. If possible, set up a meeting with the consultant so that you can build rapport face-to-face and discuss your strengths in person. If you are unsure about which businesses to approach, either do a quick online search for agencies who hire for your industry or peruse the job descriptions on Seek etc. to see which agencies are currently recruiting. 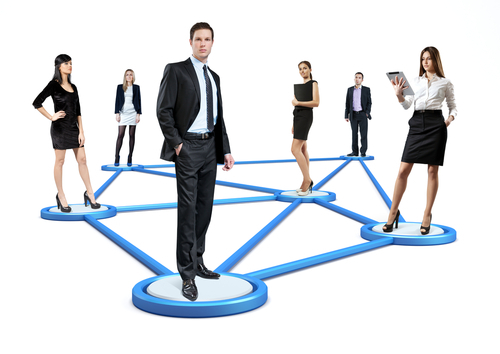 Your connections, whether professional or personal, can also be invaluable when it comes to achieving job success. Let your connections know that you are looking for work and that would appreciate a ‘heads up’ on any positions available. If you are connected to any influential leaders or executives in your industry, you should also ask them for advice or see if they can put you in touch with anyone who may be able to help you with your search. If you know exactly which organisations you want to work for, why wait? Targeting your ideal employers directly can be a great way to get your foot in the company door. Even if they’re not recruiting at present, making contact with the HR manager is an excellent way to begin relationship building. If they are not keen for a meet-and-greet, make sure you send them your resume and continue to stay in touch over the coming months. Contact Resumes Australia to find out how you can further maximise your job search and your resume applications.